The Common Murre is the most emblematic bird of Berlengas and the symbol of the Nature Reserve. Common Murres used to breed in large numbers in Berlenga Island. This was the southernmost breeding colony, which in 1939 was estimated to have 6000 pairs. However, in the second half of the twentieth century, the population has suffered a steep decline, and in 1977 there were 320 breeders and only 70 by 1981. The population continued to decline during the following two decades and the last confirmed breeding attempt took place in 2002. Recent observations during the breeding season refer to only one bird, observed in June 2012. Sadly, nowadays Common Murres may be extinct as breeders in Berlengas. The sharp decline of populations in Berlengas and Galicia resulted from the use of synthetic gill nets by fishermen. As birds that diver several tens of meters deep in search of small fish, many adult Murres get entangled in these nets and drown. Other factors that may have contributed to the population decline of the species in Portugal are the reduction of food resources due to overfishing and contamination by hydrocarbons. Urgent conservation measures include the minimization of bycatches associated with fishing gear through the implementation of a space-time moratorium around the breeding colonies and their enforcement. During LIFE Berlengas project, historical nesting locations in Berlenga Island will be largely monitored in order to confirm whether the species still visits these locations and document any breeding evidence. At-sea distribution of guillemots within the Berlengas SPA will be studied to assess potential interactions with fishing vessels and gears. 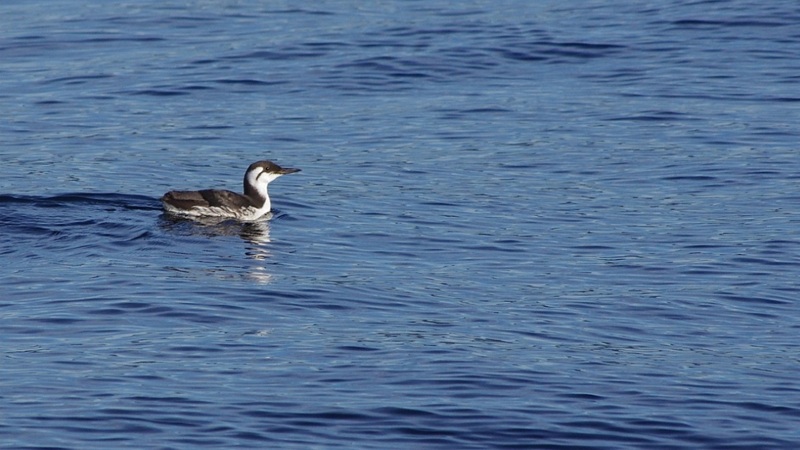 The Common Murre is uncommon and mainly present in Portugal throughout winter, from November, until the beginning of spring. As it prefers shallow areas of the continental shelf, occurs mainly along the coast line being noticeably more frequent north of Carvoeiro Cape, mainly north of Mondego Cape.